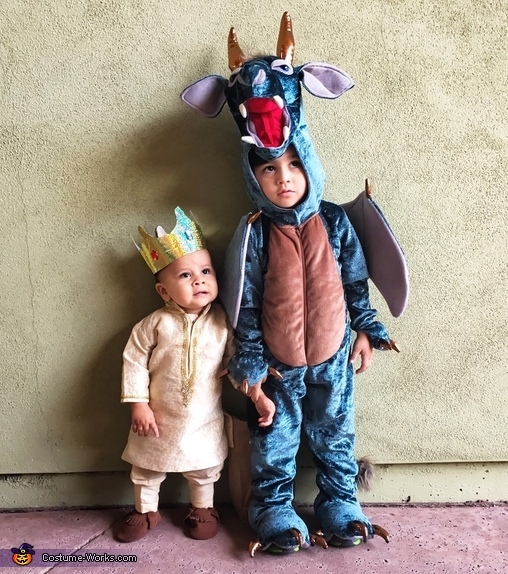 My son Nicholas(3) is a dressed as a dragon. His costume was purchased from Homegoods. My nephew Ricardo(1) is dressed as a king. His outfit belonged to my son and was purchased in india from his grandfather.